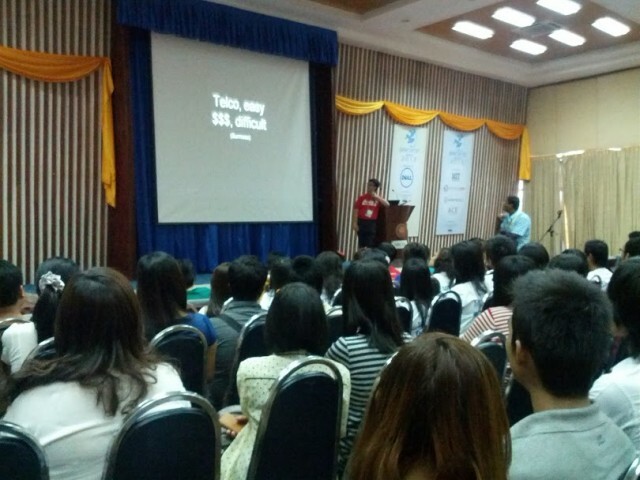 Recently Mark Summer, Inveneo’s co-founder and Chief Innovation Officer, attended Myanmar’s BarCamp Yangon 2013. 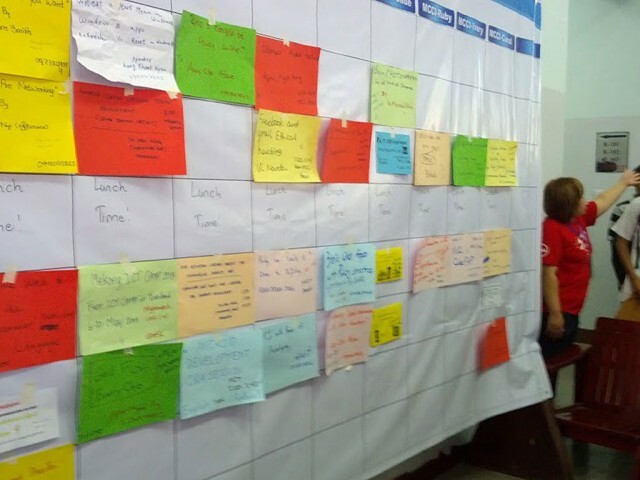 BarCamps are locally organized, free-form technology “unconferences” where participants are allowed to present with few limitations, and attendees can participate free of charge. There are no restrictions on who is able to speak or present; organizers are only required to take care of promotion, logistics, and infrastructure for the event while attendees proactively present and choose their own content. This year’s Myanmar event was the fourth in the country’s history, and by far the largest, growing by 60% to 6,400 attendees. This also made it the largest BarCamp in the history of the event itself. Topics are scheduled daily, and amidst the flurry of action patterns of interest appear. Many are exactly what you’d find at a technology conference anywhere in the world – mobile apps, Facebook marketing, etc. – but the substantial presence of ICT policy, international development and a healthy “by Myanmar, for Myanmar” showing made this an especially interesting event from a ICT4D perspective. Myanmar has a checkered past with technology. The country has been under military control since 1962 and has been cited with numerous human rights violations. Trade and other sanctions have made inclusion in the digital revolution challenging, if not impossible, as many of the technologies and markets supporting digital entrepreneurship are simply not available to the general public. Military and government-controlled mobile networks produce SIM cards recently costing upwards of US$2,000 (this number has recently been falling to $250) and digital marketplaces like the Apple and Android app stores are still unavailable due to trade sanctions. The 24th most populated country in the world lags with just 3% mobile and 2% facebook penetration. Even daily newspapers are off limits to the private sector, run instead by the state. In the past few years, however, this has been easing. The military has been relinquishing control over the government, international relations are improving and doors are starting to open across every sector of the economy. This could prove extremely important for ICT as sanctions are expected to ease, licenses for cellular network operators are about to be issued, new ICT laws are being drafted and the international community is engaging more and more with the Myanmar government and local businesses. 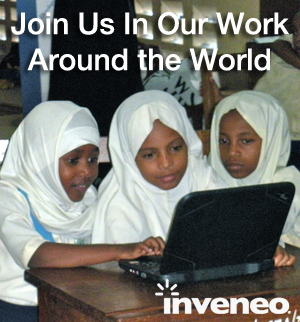 At Inveneo we specialize in delivering technology solutions in emerging and underserved areas. Haiti, Kenya, Micronesia… These all fit descriptions you’re familiar with: a developing rural market with little access to social or economic resources. We’re very familiar with the deployment of technology and the patterns that follow surrounding adoption, market growth and sustainability. Connectivity starts as a trickle and quickly grows into a stable stream with demand increasing year over year. Myanmar, on the other hand, is a dam about to burst. The government has been freed to define ICT policy and an educated IT sector already exists. 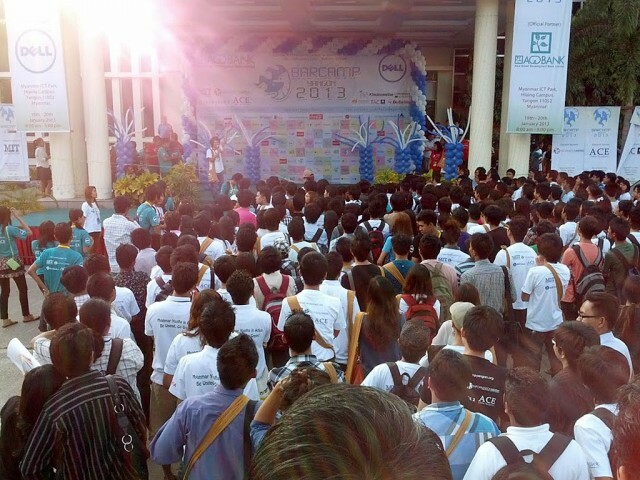 Local entrepreneurs are eager to catch up with their neighbors so it’s no surprise that this year’s Myanmar’s BarCamp is the largest in the world with everything from Unicode to Ubuntu – from fundamental Burmese language support to the latest in open source – on the table. This rare combination of eager talent, economic potential and budding support at almost every level is unheard of in most underserved areas, boasting huge immediate potential and a long runway for growth. Even without a solid foundation for ICT development, entrepreneurship is rampant. One app developer Summer met built a business around iPhone app deployment without using the Apple App Store or the Internet. The service is USB-based and tracks the number of uploads to the account-holder’s phone, distributes apps at outlets across the country, collects and pays licensing fees – all offline. Examples like this highlight the country’s potential and beg the question: if an App Store business that works without the internet can thrive, what will we see when the floodgates of real connectivity are opened? Summer’s goal in attending the BarCamp was primarily to understand the status of the ICT sector and the current environment for ICT4D and development in general. Inveneo’s focus is on bringing technology to underserved populations, and the solutions being developed in Myanmar may provide useful in other areas. It’s also just incredibly interesting to watch a country figure out ICT policy from the ground up.